Find all the Ads PLOUBALAY on the Portail Réseau ID ploubalay. Our portal Ads PLOUBALAY offers studios , apartments or villas in the Ploubalay area and its surroundings. Find now our estimation PLOUBALAY service completely free and immediate. 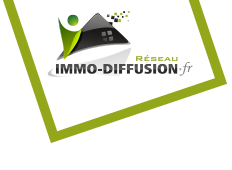 We hope you enjoy browsing our site www.ploubalayimmobilier.fr. For ease and convenience, our website ploubalayimmobilier.fr is accessible from any devices (desktop, tablet, smartphone).